1. Vendor “A’s” cab fleet has a good OTA track record in Hyderabad while its OTA is just about satisfactory in Bangalore. 2. Vendor “B’s” employee feedback on night trips has improved significantly over the past 3-months. Analytics Manager observed a consistency in pattern for these night trip OTAs. The drivers were completing long trips even faster than ETA when they had only a single employee pick up/drop. This prompted the Compliance Lead to check the driving behaviour on these trips. He reported several speed violations. In the meanwhile, the Routing team has submitted the vehicle allocation request for the next day. Looks like the Transport team needs to deploy additional 6-seater vehicles from a new fleet vendor. The on-ground compliance team has jumped into action. They are already verifying roadworthiness of the vehicles. The fleet will be onboarded within a couple hours after an end-to-end due diligence. The above is a snapshot of how the MoveInSync CAT (Compliance, Analytics, Transport) teams work closely together and assure a safe and stress-free travel experience for employees. Transportation is a highly regulated industry, with standards set to regulate motor vehicle emissions and to keep drivers, passengers and the general public safe on the road. Compliance management effectively mitigates risks thereby, enhancing security in the supply chain. Hence, vehicles and drivers responsible for mobilizing employees must undergo due diligence and adhere to industry best practices. 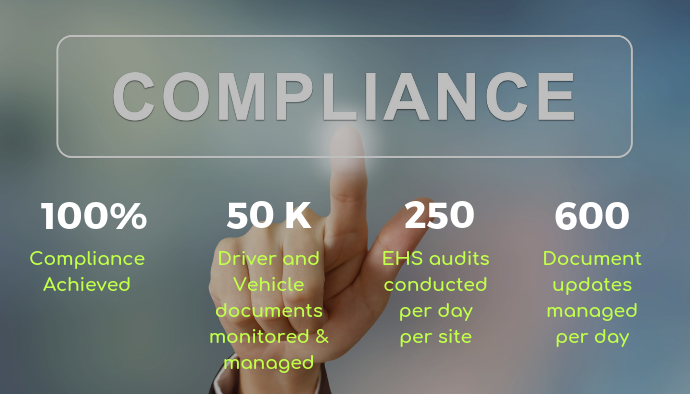 Compliance is the first step towards an effective and safe employee transport and MoveInSync enforces zero tolerance against non-conformance. 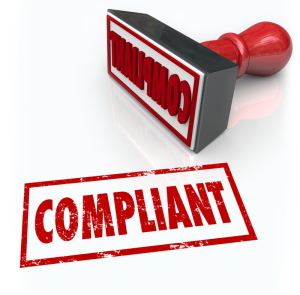 MoveInSync manages the industry’s widest array of regulatory requirements for its customers. A dedicated Central Audit Team works 24×7 to adhere, monitor, and report compliance risks. A team of experts ensures roadworthiness of vehicles and drivers before they are inducted for service. Mandatory driver background verification ensures only drivers free of a criminal record are on-boarded. This procedure includes court checks, address, and a police verification. Transport teams conduct routine checks of the deployed cabs. They ensure all statutory documents – Registration Certificate, Driver Licenses, Insurance, Road Tax certificates, etc. are in order and valid. Fleet providers get automatic alerts about imminent document expiry to ensure service continuity. A MoveInSync-managed fleet is equipped with the latest GPS units. A 24×7 Command Centre Team monitors these vehicles for OTA, speeding infringements, and erratic driving. A single dashboard is used to maintain driver credentials. This is used for assessing driver performance and behaviour. MoveInSync transport teams assign trips to conforming drivers only. Drivers are blacklisted on account of negative feedback, serious complaints, and non-compliance. This prevents imminent incidents from happening. 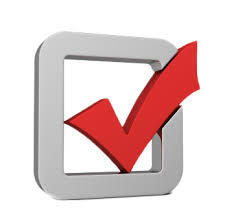 Periodic Digitized EHS audits are conducted to conform to government-directed compliance measures. 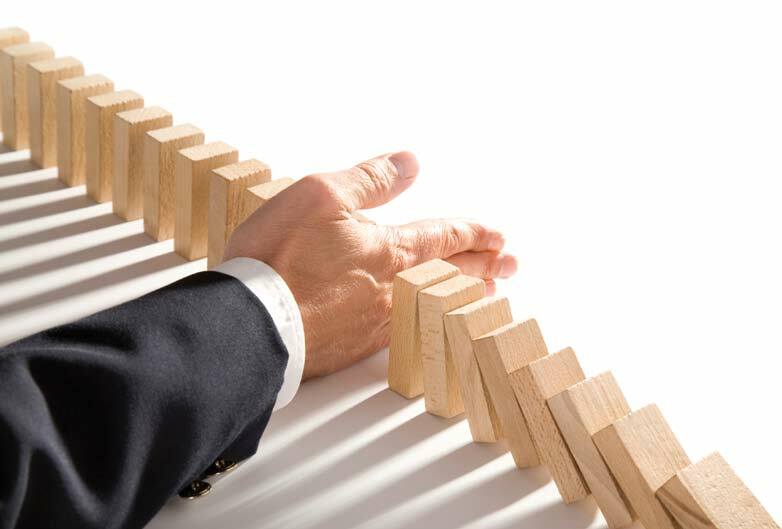 A master partner in safety and risk mitigation eases all your compliance woes. The complex obligations of compliance demand a specialized partner who has in-depth knowledge of regulatory requirements and is able to constantly stay on top of changes. Hence, managed compliance is the first line of defense against transportation regulatory risks and costs overruns. MoveInSync has pooled in the best minds to address these demands of the industry. With its 24×7 comprehensive compliance management, it fills the resource gaps with qualified specialists and helps customer organizations stay audit-ready. Trust us to be your partners in end-to-end fleet management.